Professor Carl Stauffer, co-director of the Zehr Institute for Restorative Justice at Eastern Mennonite University’s Center for Justice and Peacebuilding, offered a keynote address at a restorative justice symposium at Harvard University in February. Dr. Carl Stauffer facilitates a panel at the Harvard Negotiation Law Review 2019 Restorative Justice Symposium. 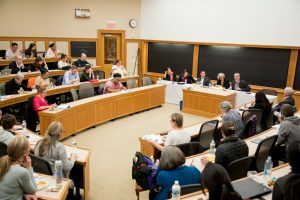 Read Harvard Law’s event coverage. 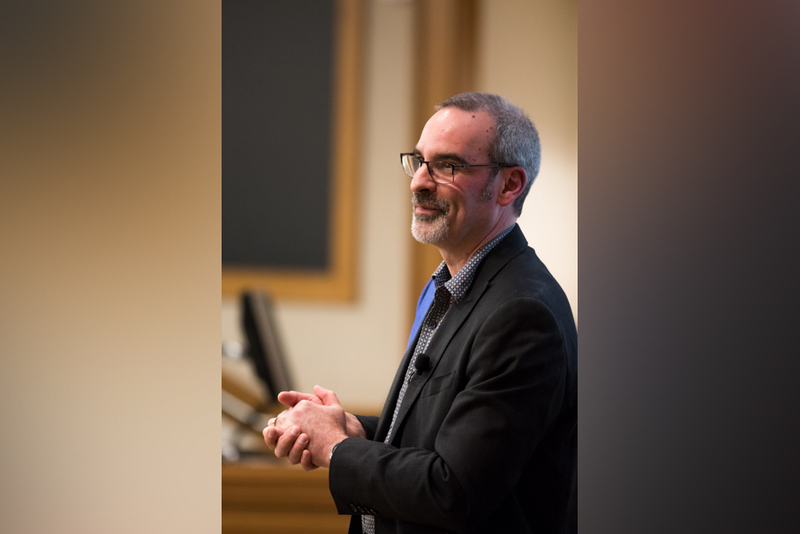 “It’s encouraging to see law students wanting to put restorative justice at the center of this discussion around redressing harm, and exploring alternatives to how criminal and transitional law could be practiced in the future,” Stauffer said. This was his second time at the event. In 2015, he participated as a panelist on transitional justice. In his keynote, Stauffer discussed transitional and transformative critiques of the restorative justice field. Stauffer also moderated a panel on the integration of restorative justice in the U.S. criminal context, with Erin Freeborn, executive director of Communities for Restorative Justice (C4RJ); Kaia Stern, co-founder and director of the Prison Studies Project; Pierre Berastain, director of Harvard University’s Office of Sexual Assault Prevention and Response; and Chris Moser, Of Counsel to Henrichsen Siegel. It is exciting to hear of your interaction with these upcoming attorneys, Carl.